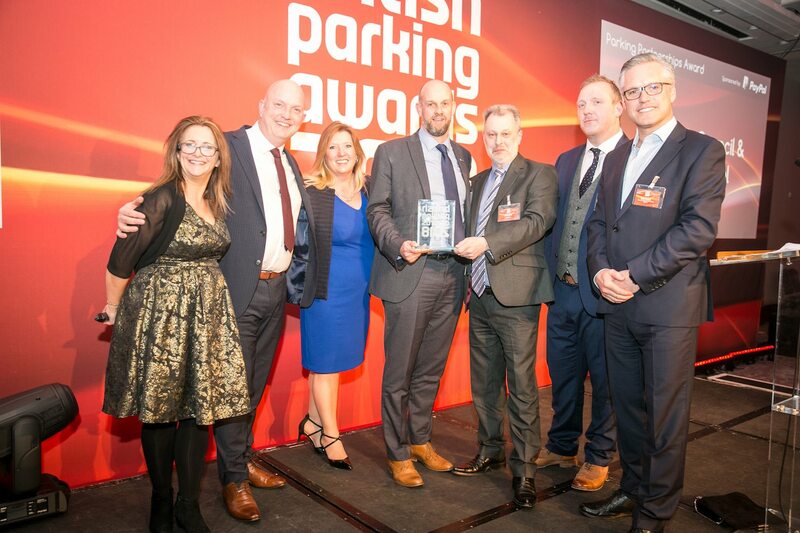 We were very proud to have been awarded the 2018 Parking Partnerships Award at the British Parking Awards Ceremony in London on Friday for our work with Thurrock Council dealing with HGV persistent evaders. For many years the community of Thurrock has been blighted by foreign registered heavy goods vehicles (HGVs) parking in residential areas blocking foot paths and grass verges, whilst unacceptable amounts of human waste and rubbish was also left behind. These issues were costing the Council over £100,000 per year to repair and clean up. After attempting to change driver behaviour by issuing Penalty Charge Notices, Thurrock Council had made little or no impact on the number of HGVs parking in contravention. During an average Saturday morning deployment Thurrock Council Civil Enforcement Officers would typically issue up to 80 Penalty Charge notices to HGVs alone and overall 60% of all PCNS being issued across the borough went to foreign registered HGVs. By working closely with Alan Wood, one of our directors at Penham Excel, Thurrock Council Debt Recovery Team set to work putting together everything required to be able to enforce against the worst offenders. Using powers within the Traffic Management Act for tackling persistent evaders Penham Excel worked together with the Council Parking Services, Essex Police, Driver and Vehicle Standards Agency (DVSA). It proved to be a very challenging but ultimately successful operation with us having to contact foreign based companies to recover unpaid debts, overcoming the obvious language barriers and a process for the international transfer of monies. We also deployed a heavy goods vehicle tow truck on standby, however this was not required as we successfully recovered all of the debts owed. “This unique initiative was run throughout June, July and August 2017 and has had a dramatic impact on driver behaviour, not only has Penham Excel recovered nearly 500 unpaid Penalty Charge Notices, all of which would have previously been written off , but the number of HGVs parking across the borough has dropped considerably resulting in the number of penalty charge notices being issued plummeting,” said Alan Wood. Alan Wood was joined by fellow Penham Excel directors Philip and Adrian Hammonds and Julie Rogers with Kevin Tuttle From Thurrock Council to pick up the award (pictured above).